The USS Pittsburgh at its commissioning ceremony at the Naval Submarine Base in Groton, Conn., Nov. 23, 1985. Cmdr. 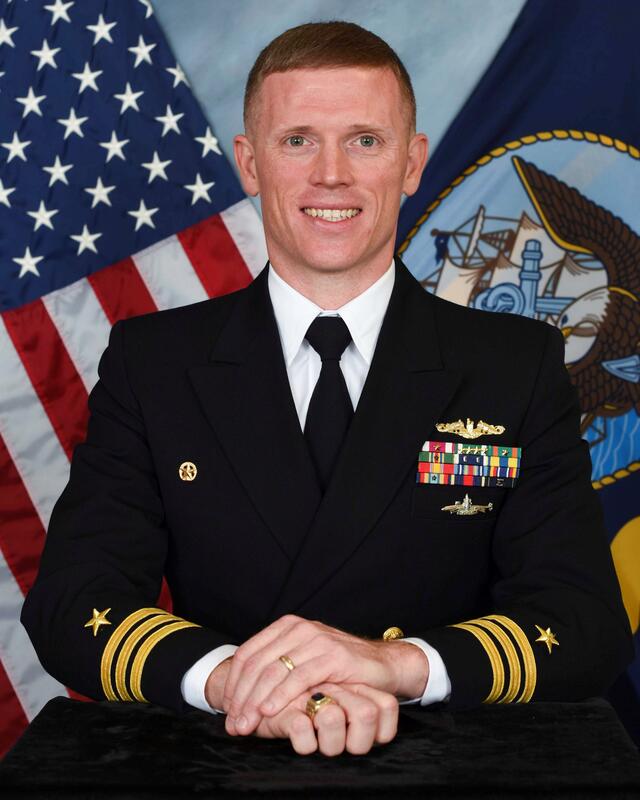 Jason Deichler, a Scott Township native, was the final commander of the USS Pittsburgh. The fast-attack submarine returned to its homeport at Naval Submarine Base New London in Connecticut in February. Cmdr. Jason Deichler says that the relationship between a ship and its namesake city often varies, but that the city of Pittsburgh "has been very special in the efforts that they make to support our ship,” including regular contact between the crew and organizations like the Pittsburgh Navy League, the Submarine Veterans Association of Pittsburgh and the Pittsburgh Relief Crew. Ruthie Walker wants every kid who walks through her door to have a quality education–something she tries to ensure in her role as a student service assistant and activities coordinator at the Pittsburgh Student Achievement Center. Walker tells 90.5 WESA’s Brian Cook that her ultimate goal for the students is graduation. Edgar Snyder bought his first ad in a newspaper more than 30 years ago before making the expensive leap to television. Today, his firm employs more than 100 people in Pittsburgh and the surrounding areas, and the firm takes on over 1,000 cases a year. As part of the Built in PGH series, 90.5 WESA’s An-Li Herring reports that Snyder has become more of a businessman than a legal practitioner. The deadline to file taxes is today, and for some, that means a tax return is on its way. But people in Pittsburgh have mixed opinions on whether they actually want that big windfall. For WESA's occasional series, Moment of Science, 90.5 WESA’s Kathleen Davis spoke with University of Pittsburgh business professor Nicole Coleman about how paying taxes can be an emotional experience. A Pew Research survey found that 42 percent of Americans don’t think the social security program will have enough resources once they reach retirement age. Jayme Meredith, senior vice president of Hefren-Tillotson Wealth Management, says that while the program likely won't dry up completely, by 2034, taxes will only be able to cover about 75 percent of scheduled benefits. Meredith says concerns about the solvency of social security have been put on the back burner for more immediate issues. His advice to those just entering the workforce? Start saving now. *UPDATE: University of Pittsburgh Police have released an update regarding the Tuesday incident described in this story.